I am a proud self-confessed geek and nerd. I love books, reading and learning as well as computer games, fantasy and sci-fi. One of my favourite things to do while travelling is seek out places that I have read about, or seen in my favourite films and television shows. 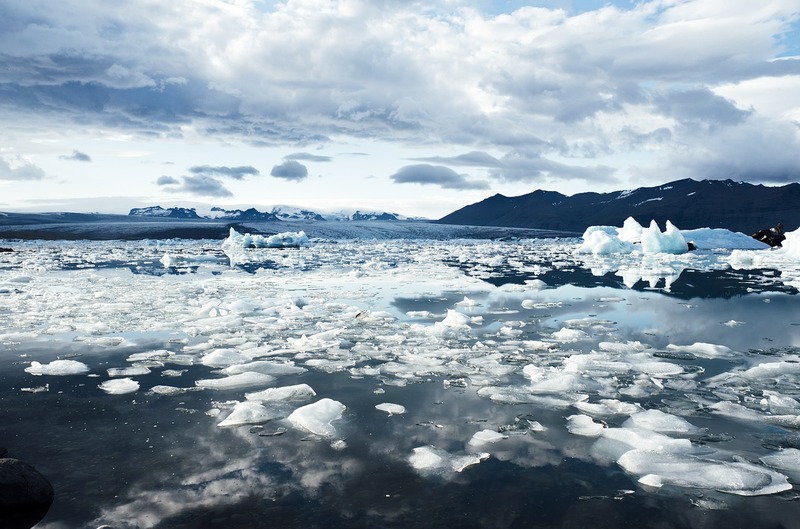 The popularity for visiting filming sites for ‘Game of Thrones’, for example, has led to some fantastic travel experiences and tours in quite a few different countries that have been used for filming. 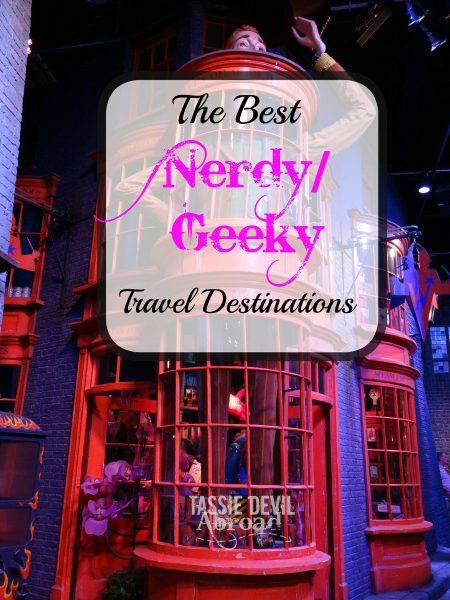 Without further ado, here are my choices for the best places to go to get your nerd on! 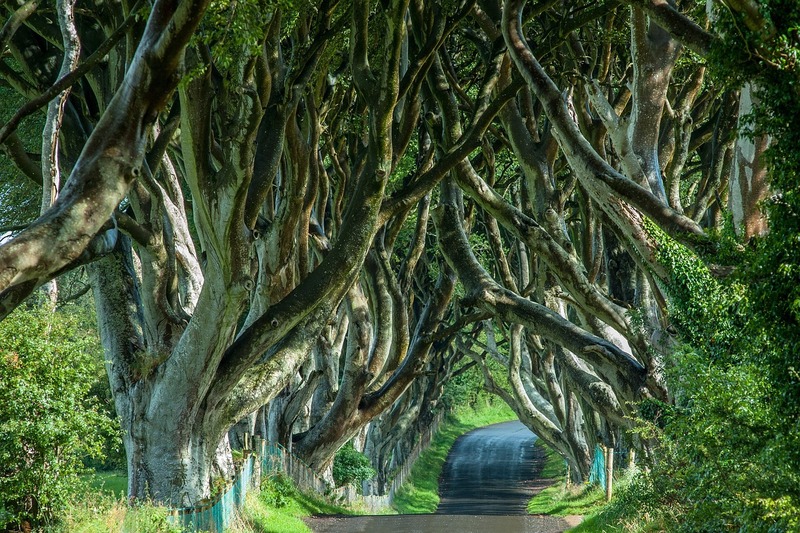 Now that season five has finished and there’ll probably be another year wait for the next season of ‘Game of Thrones’ (and who knows when the next book will be out), at least you can quench your Westeros withdrawals by visiting some of the stunning filming locations! 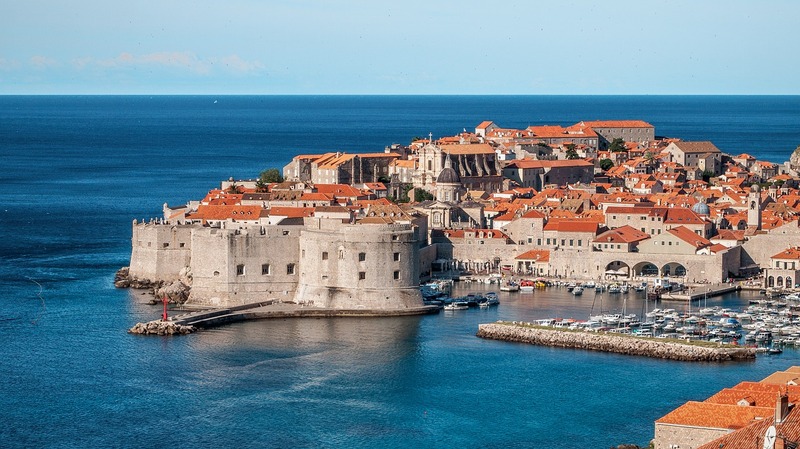 Dubrovnik, the capital of Croatia, is where most of the filming for King’s Landing takes place, and no wonder when the medieval city is so stunning (not to mention the weather). There are a lot of individuals and companies offering ‘Game of Thrones’ tours in Dubrovnik, a quick google search will give you plenty of choices. I haven’t done any but when I get to Dubrovnik (it’s very high on my list of places I want to travel) you can bet I will be writing a blog post about it! Similarly to Dubrovnik, there are also lots of tours on offer in Iceland if you want to see where they filmed the ‘North of the wall’ portions of the television show, and pretend you are a fierce wildling. This one offered by Iceland Travel sounds pretty good, apparently the guide for your tour is the same person who was a guide for the television crew during the filming of series three. You can even visit the cave with the hot spring inside where Jon Snow and Ygritte had a memorable intimate encounter! If you want to visit Winterfell, ‘The Twins’ of House Frey, Robb Stark’s war camp and the place where the direwolf pups were found then this company in Ireland offers some pretty awesome looking tours that include treks and Stark family cloaks for photos! Tours depart from Belfast or Dublin. Of course if you are travelling to the UK (particularly London) then you can not miss out on all the Harry Potter filming locations and experiences! 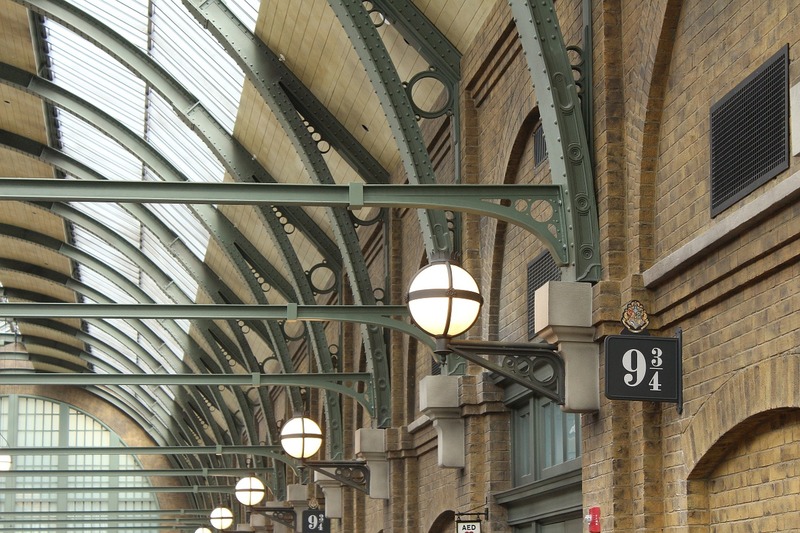 Starting at King’s Cross station there is an actual Platform 9 3/4 where you can have your photo taken wearing a Gryffindor scarf and pushing a trolley through the wall! Make sure you get there early though, the lines are usually massive. 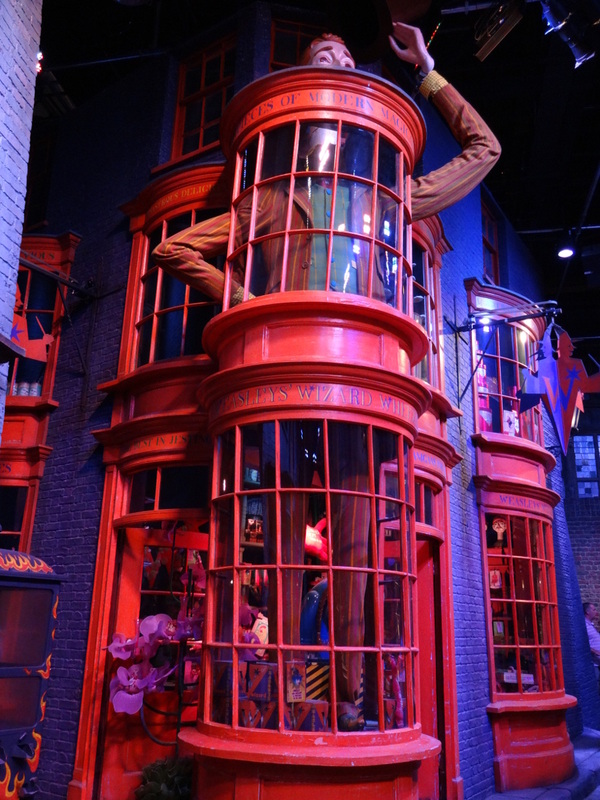 An absolute must-see for Harry Potter fans in London is the Warner Brothers Studio Tour. 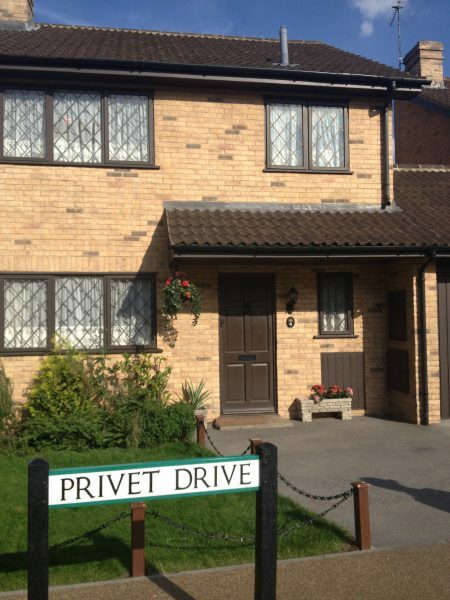 Here you can walk around the actual sets they used for filming, see props and costumes from the film, have your photo taken at Number 4 Privet Drive, on the Knight Bus or in Hagrid’s flying motorbike as well as tasting some butterbeer and strolling through Diagon Alley. You have to book tickets for this and be there on time for your entry timeslot, but this experience is worth every penny in my opinion. I wrote a detailed blog post about it here and it was so much fun! 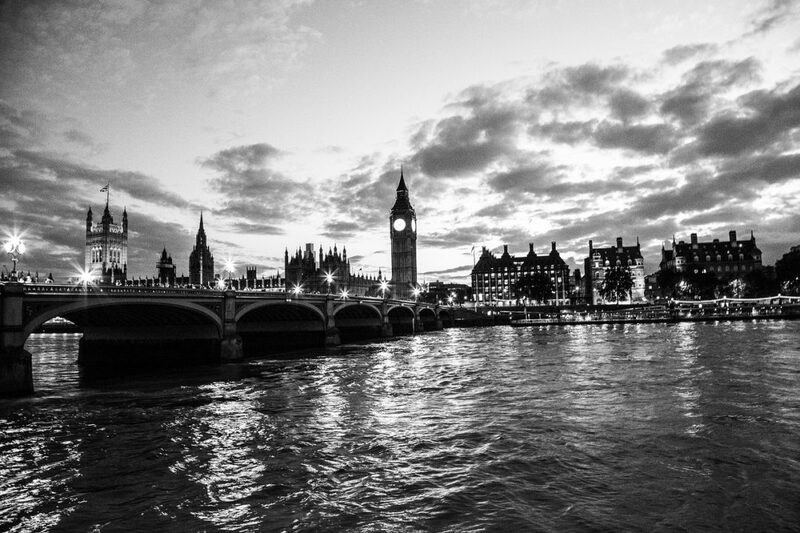 There are also a number of tour operators that offer tours of other filming locations around London. I like the look of this one because it visits not just filming locations but also places that inspired J. K Rowling, such as the alleyways off Charing Cross Road that inspired Diagon and Knockturn Alleys. If you manage to get to Scotland then Edinburgh is also a good place to get a feel for Rowling’s inspiration. 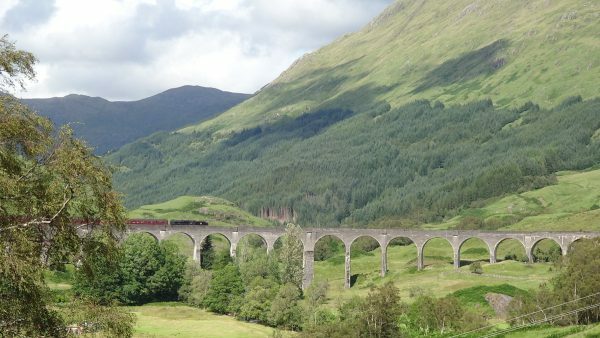 Check out Edinburgh Castle (it looks a lot like Hogwarts) and if you are in the Scottish Highlands the Glenfinnan Viaduct (pictured above) was used as a location for three of the films (recognise it?). 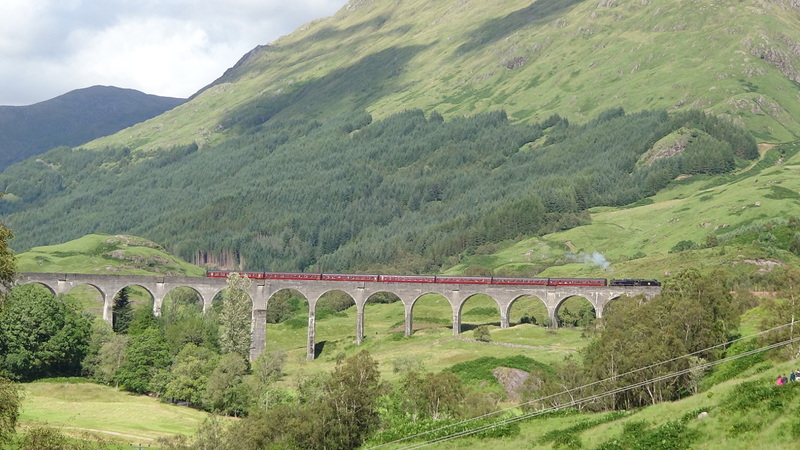 You can even go for a ride on the Jacobite steam train, which is the train they used as the Hogwarts Express in the films as well! When I was travelling through the Scottish Highlands on a Haggis Adventures tour we stopped by the viaduct at the time the train comes past to get these pictures – definitely a highlight of the trip! 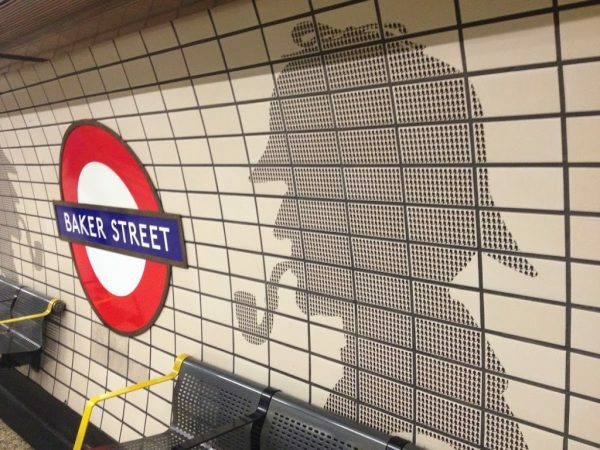 Whether you like the BBC television show ‘Sherlock’, the Robert Downey Jr. and Jude Law film versions or the original stories by Sir Arthur Conan Doyle, then London is the place to go for your fix of the most well-known British detective. If you’re a fan of Benedict Cumberbatch’s version of the sleuth, this tour will take you to filming locations used for the BBC television series, such as Speedy’s Cafe, Irene Adler’s residence in Belgravia and the spot where he faked his own death at St. Bartholemew’s Hospital. 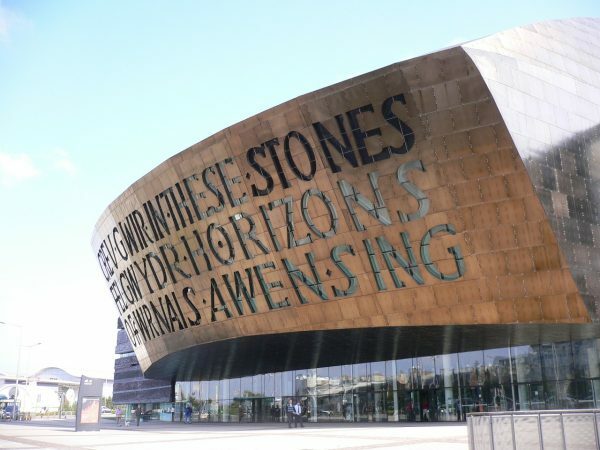 If you’d like to see and hear about the historical background to the books as well as visit sites from the BBC show and the film versions then this tour seems to have a bit of everything; you can even visit places from the original stories. Of course, you can also take yourself on your own tour of locations for free too! 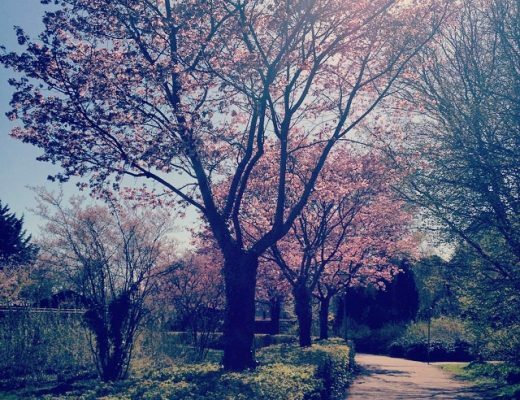 This website has a great list of locations and an easy order to visit them in. Don’t forget to get the tube to Baker Street, see the picture of Sherlock Holmes on the wall, the statue outside the station, and then visit the Sherlock Holmes museum at 221B Baker Street. 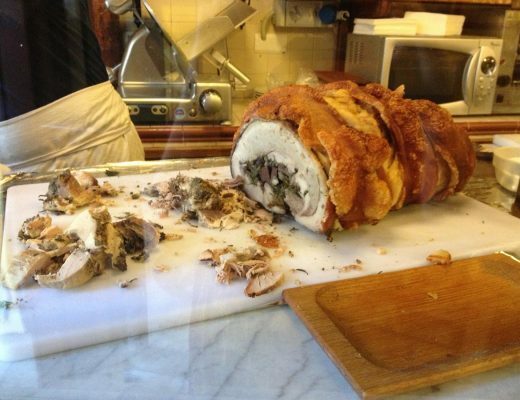 I wrote a post about my visit here if you’re interested. If The Doctor is your favourite character from television then never fear, you can quench your ‘Doctor Who’ thirst in London as well. 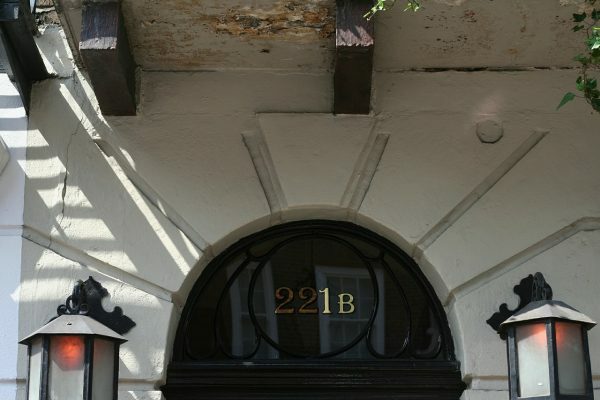 This page lists many easy to visit sites around London that have been used while filming the series for you to take a self-guided tour. 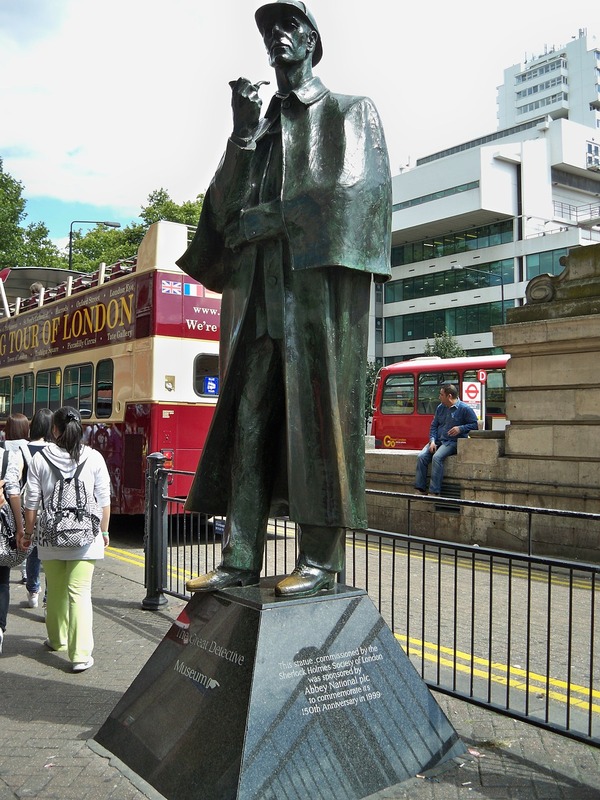 If you’d rather a guided tour then the same company that offers two of the ‘Sherlock Holmes’ ones also has a ‘Doctor Who’ walking tour of London. Of course, if you get the chance, then Cardiff in Wales is the ultimate ‘Doctor Who’ fan destination. 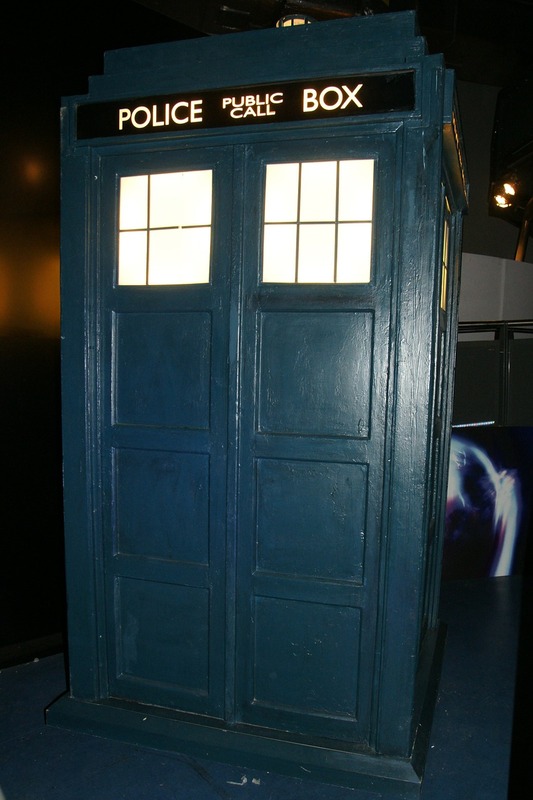 Not only can you see lots of filming locations around the city but it is also home to the Doctor Who Experience; a huge interactive experience which also comprises the world’s largest collection of ‘Doctor Who’ memorabilia and (at certain times of year) guided walking tours of the city and access to the genuine set of the TARDIS! I haven’t been but it sounds like it would be amazing to see the sets, props and costumes from the history of the series, as well as things like how the special effects are created. This post would not be complete without mentioning ‘The Lord of the Rings’ and ‘The Hobbit’! And as most people are aware, if you want to visit Middle Earth then New Zealand is the place to go. 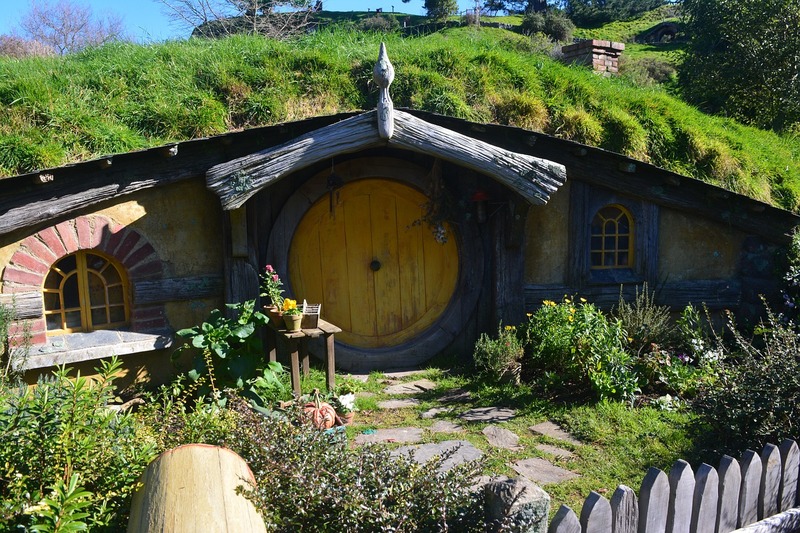 This company offers some pretty amazing looking tours of filming locations in New Zealand, some of them even featuring air-travel! They do look pretty pricey though. These tours of Hobbiton (the set for both the movies is still standing on a sheep-farm) look absolutely charming. 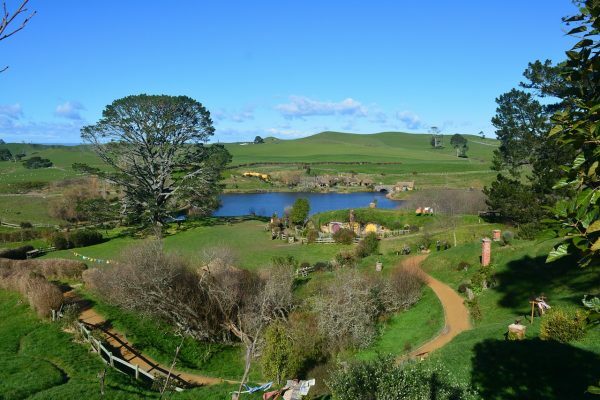 You get to peer into Hobbit holes, see the mill and the gardens that were all built for the films. Afterwards you can relax with a drink and a meal in the Green Dragon Inn! What’s your favourite nerdy/geeky destination you’ve visited or want to visit? Let me know in the comments! For now, here’s an Air New Zealand ‘Lord of the Rings’ themed air safety video for your amusement – definitely a good way to get people to actually watch the safety demonstration! 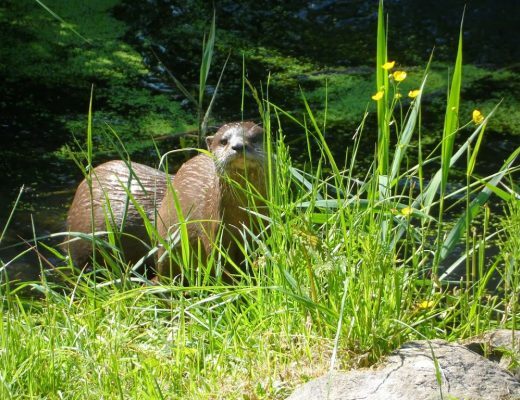 Otters, and Wild Boar, and Moose; Oh My!